Water sputtered out of the tap as he turned the knobs to full blast. He couldn't remember the last time he actually drew a bath for himself. While the water ran he went to make a drink in the kitchen. A tub cocktail would surely help during the soak. He looked funny standing in the kitchen; bare-chested with a stiff pair of Levi's on. He had been wearing them around the house for a few weeks to try and break them in. They were far too long and a bit baggy to be seen in public this way. He had seen scarecrows that looked better in denim than he did in these. After a half hour in the bathtub though, they would fit better than a tailored pair of slacks. Grabbing a rocks glass, he scooped in a tiny spoonful of sugar and a dash or two of Angostura bitters. He swirled that around for a second and then held it under the kitchen faucet for a few drops of water to coax the sugar into playing along. 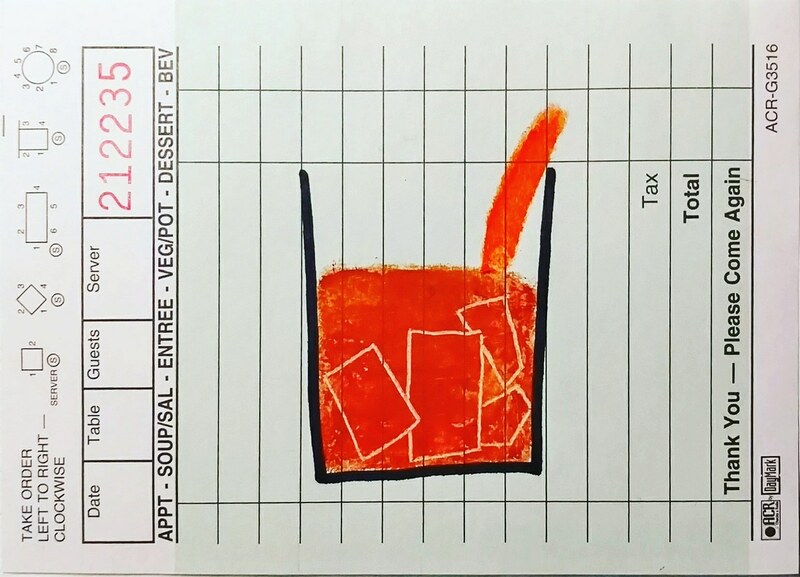 He added a heavy pour of Bourbon and a handful of ice before stirring it all with a slice of orange. Easy enough. The bathtub was nearly full. He checked the temperature with his fingers and realized immediately he should have made a frozen drink. He took a sip of his Old Fashioned and sat on the counter to let the water cool down for a few minutes. The whiskey was already warming him up from the inside. A few more sips of the drink showed off the vanilla in the whiskey and the calming effect that sugar and bitters have over a wild spirit. He stood up and finished the last gulp of his cocktail. "These jeans aren't going to shrink themselves," he said out loud to nobody before slowly easing himself into the water. The old-fashioned way of doing something is sometimes still the best way.